In the run-up to construction measures, supply and disposal lines, shaft structures, etc. must be recalled in order to achieve planning optimisation and risk minimisation with regard to potential pipeline damage. However, existing management documentation often is incomplete or incorrect, so that further investigations are indispensable. To this day, search slots are still being created, to determine the exact location of particularly endangered or dangerous lines. During the last 30 years, line location with the electromagnetic induction method (EMI) and above all the electromagnetic reflection method (EMR, georadar) has become established. 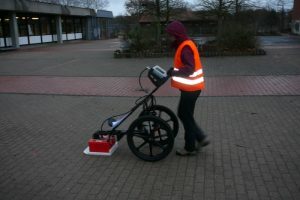 Georadar can be used for the detection of non-metallic lines. 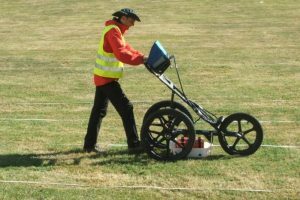 Instead of a local investigation with search slots, cables are located with geophysical methods. 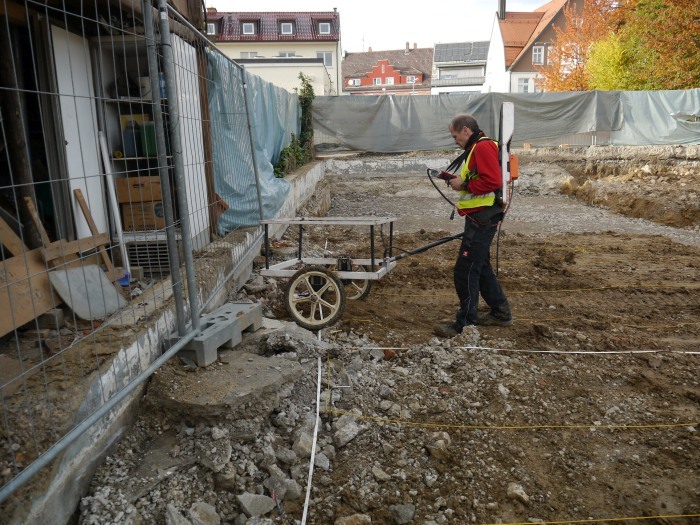 Even under urban measuring conditions these methods usually achieve good results. 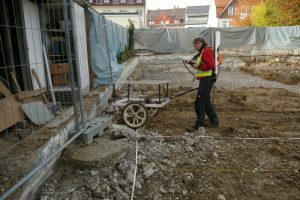 In very difficult construction situations – as the crossing of a high-voltage line at a short distance presents in trenchless line construction, – search slots continue to be the means of choice. In many cases, however, it is sufficient to measure selected areas as „line free” (e.g. to determine drilling sites). But even for route planning of new pipelines a location of existing lines in the run-up to construction can be helpfull. Despite all experience, since line location is an indirect method, a residual risk remains especially with sensitive search objects or in particularly dense line situations. Shading effects due to superimposed lines are an example for situations in which line location with geophysical methods cannot provide precise results. Therefor liability cannot be accepted.